This herbal combination is similar to the Pregnancy Tea (and Pregnancy Tea Tincture) with the addition of Squaw Vine, a late pregnancy uterine tonic herb. It has also been traditionally used to help strengthen and tone the uterus in preparation for labor and birth, but is recommended for use during the last six weeks of pregnancy only. 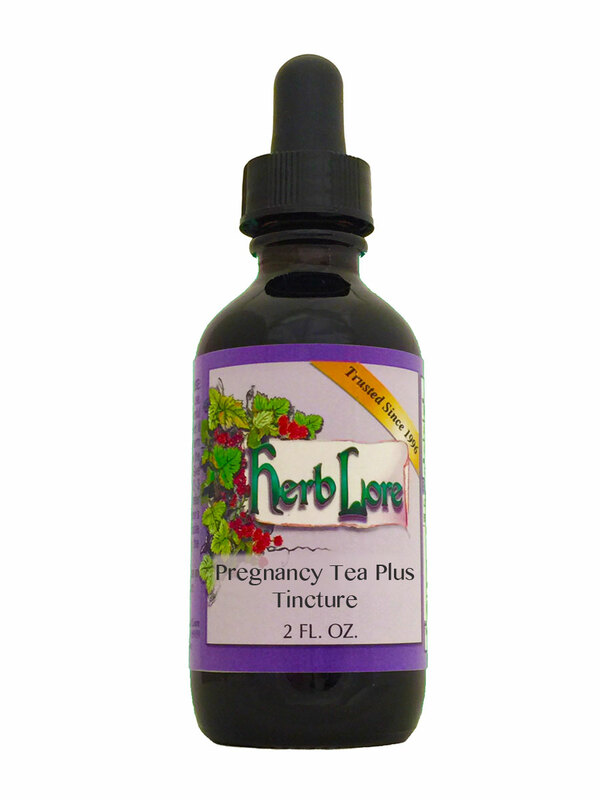 Pregnancy Tea or Pregnancy Tea Tincture is recommended for use throughout the pregnancy. At 34 weeks, one can switch to the Pregnancy Tea Plus Tincture. Both the Pregnancy Tea and Pregnancy Tea Plus Tincture can also be used for postpartum recovery. Helpful hint: Ice chips made from the diluted tincture provides nutrition and fluids to the new mother during labor. Adding a bit of honey provides extra energy. This will also help keep the uterus working strongly and efficiently throughout labor and birth, helping to facilitate placenta delivery and aid in postpartum recovery. To use the tincture to make ice cubes, use 2 droppersful (or squeezes) of the tincture per 8oz cup of water. Pour into an ice cube tray and freeze.